Named for Rev. William J. Devlin, 15th president of Boston College, Devlin Hall is one of four buildings comprising the “Quad” in the middle campus. 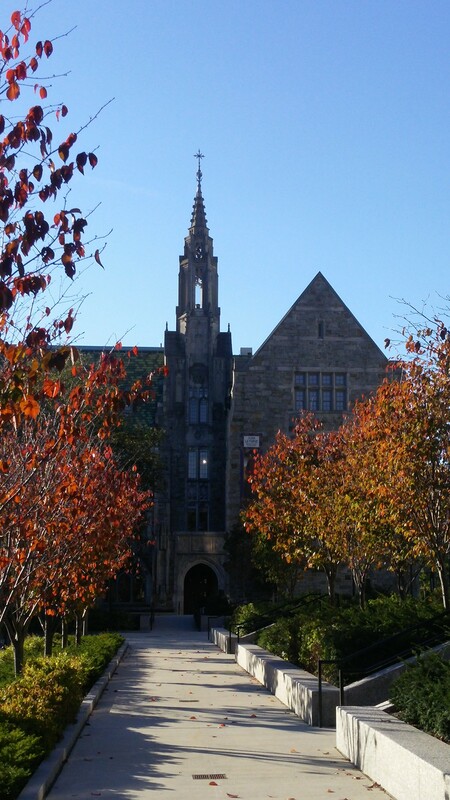 TCI provided Mechanical, Electrical, Plumbing and Fire Protection engineering support for a feasibility study of Boston College’s Devlin Hall Earth Sciences Clean Lab. Ground was broken for the new Gothic structure in June 1921 and it served for many years as the center for scientific research at Boston College. After a new science center was built, Devlin Hall was renovated and re-opened in 1993 and became the site of an elegant art gallery, the McMullen Museum of Art. Devlin Hall is also the location of the Environmental Studies Department and the Undergraduate Admission Office. As part of the feasibility study, Boston College provided a list of criteria for the proposed Earth Sciences Clean Lab. TCI reviewed existing conditions to verify that the current infrastructure in the lab and on the floor could support the proposed program. The feasibility study report included an outline of existing conditions, code compliance observations, adequacy and capacity of existing infrastructure and recommendations.